FAIRBANKS — Doyon Ltd. wants to build a micro-hydroelectric project inside Denali National Park and Preserve to power Kantishna Roadhouse, a backcountry lodge the Fairbanks Native Corporation owns 100 miles inside the park. The National Park Service supports the project, and Alaska’s two senators, Mark Begich and Lisa Murkowski, introduced legislation last month — the Kantishna Hills Renewable Energy Act of 2010 — that directs the park service to issue a special-use permit to speed construction of the project and authorizes a 10-acre land exchange between Doyon and the NPS. Doyon is proposing to build the hydro project on Eureka Creek, a small fishless creek near the roadhouse in the non-wilderness section of the 6 million-acre park. The project would include a 50-kilowatt power plant, a small impoundment dam and a small pipeline to carry water. Doyon currently uses a diesel generator to power the roadhouse. Doyon would like to start building the power plant next summer, vice president of operations Aaron Schutt said Tuesday. The corporation hasn’t done a full engineering design, but Schutt said a “ballpark figure” for the project is $500,000. The power plant would provide the roadhouse with about half of the electricity it uses during peak operation, which Schutt said would amount to “a few thousand” gallons of diesel fuel per year. The price of diesel fuel in Fairbanks on Tuesday was about $3.60 per gallon but Schutt said the cost of getting it delivered to the roadhouse is substantially higher. “It’s been as high as six or seven bucks a gallon,” he said. The roadhouse uses 80 to 90 to kilowatts of electricity per hour at peak usage. The power plant is expected to generate 40 to 50 kilowatts per hour. 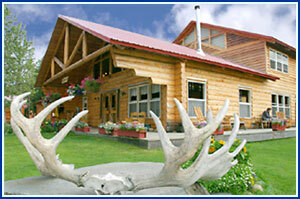 The roadhouse would be able to shut its generators off during the night by using hydroelectric power, Schutt said. 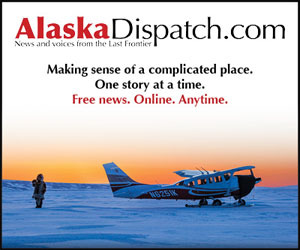 Similar hydro-electric power plants are at the Eielson Visitor Center and Camp Denali, another backcountry lodge about 10 miles from the Kantishna Roadhouse, Schutt said. 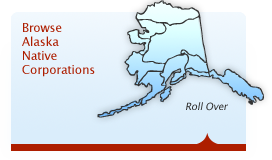 Murkowski and Begich touted the advantages of the project during a Sept. 29 subcommittee hearing in the Senate Energy and Natural Resources Committee. “Hydropower is a clean renewable source of energy that can play a vital role in our energy future and it makes sense to allow its development within the park boundaries,” Murkowski testified. The project will reduce the roadhouse’s diesel fuel consumption, improve air quality and result in fewer fuel trucks driving the park road, all of which will benefit Doyon, the park service and park visitors, Begich said. “This land trade just makes sense,” the senator said. The National Park Service is “in total support” of the project, parks spokeswoman Kris Fister said. The reason it requires legislative action by Congress is that the park service doesn’t have the authority to issue a right-of-way for the project, Fister said. The right-of-way is required for the pipeline and electric transmission line, Schutt said. The 18-inch pipeline would be approximately 4,600 feet long, he said.